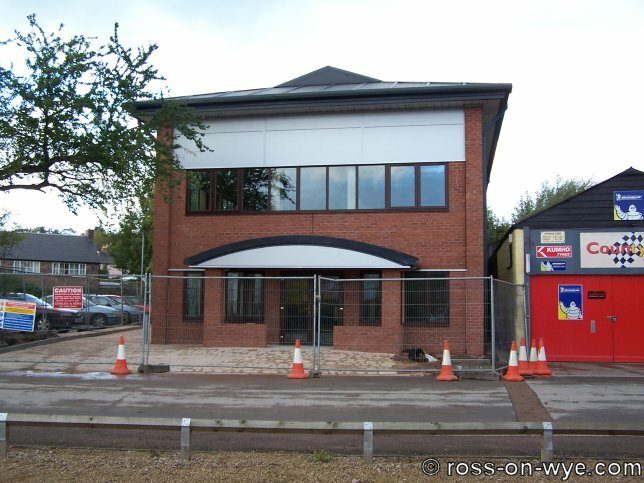 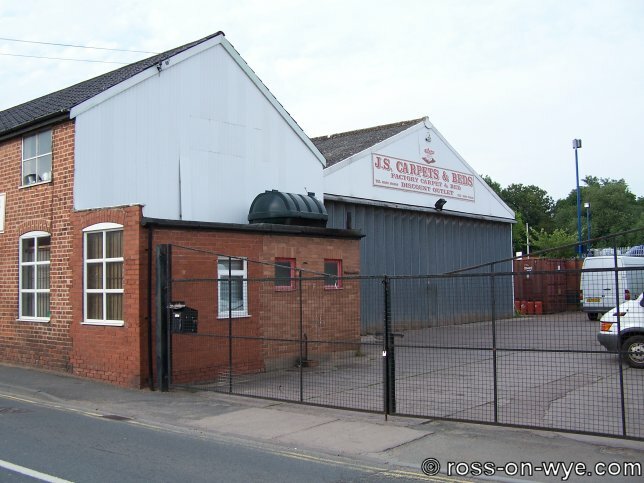 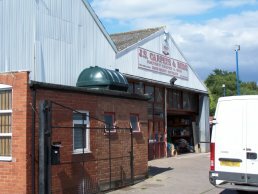 The building on this site was National Tyres before becoming JS Carpets warehouse and sales site. 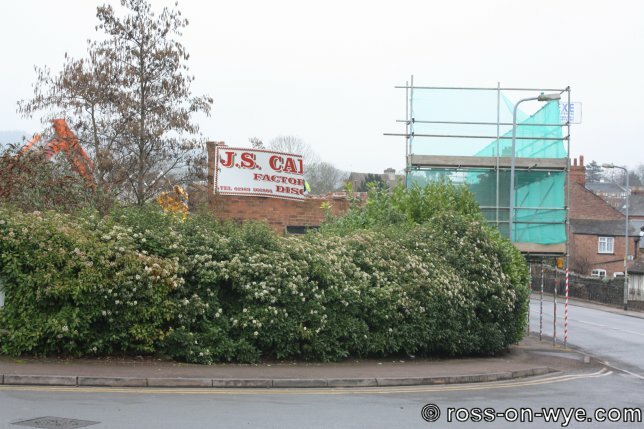 Recently JS Carpets then moved to a purpose built building beside Kings Acre Car Park and this site has been purchased by Morrisions to allow the car park to be extended and the access to the rear service yard altered inline with the store extension (see planning application DCSE2008/2414/F for more details). 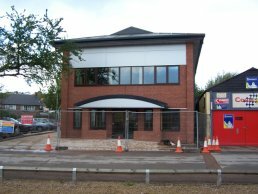 The site has been graveled over, the construction equipment removed and tidied ready for the next phase to begin. 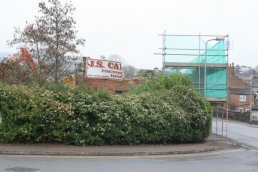 The site has now cleared and tidied up ready for the alterations to the car park and access arrangements to be made. 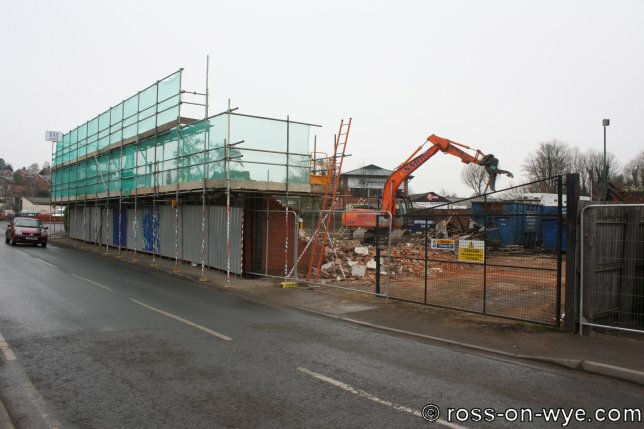 The bricks to be recovered have been removed and a digger has been moved onto the site along with a rubble crusher. 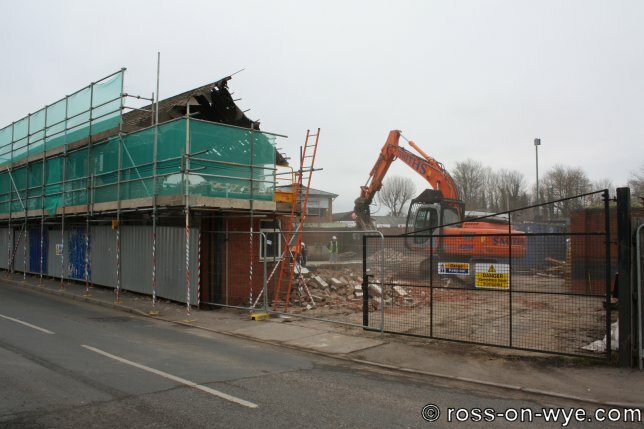 The remaining rubble is being pulverised to form the base layer of the car park that will be built over the top. 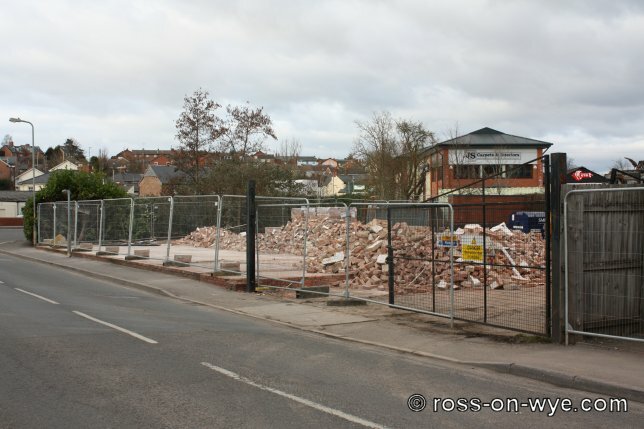 The building has now been completely demolished ready for the car park extension to be carried out. 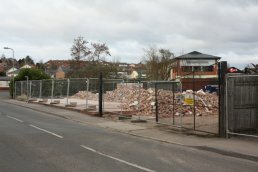 Some of the bricks from the building have been recovered and put onto pallets ready to be removed from the site. 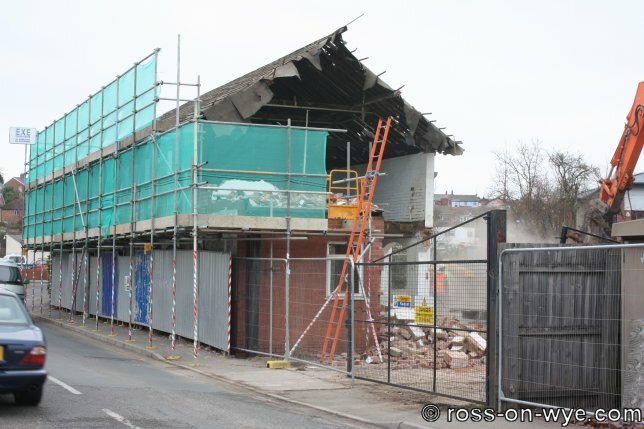 The roof and top floor of the building has been completely removed. The steel framed structure at the rear of the site has now been completely removed and the main brick building is in the process of being demolished. The southern end of the building has already been demolished. 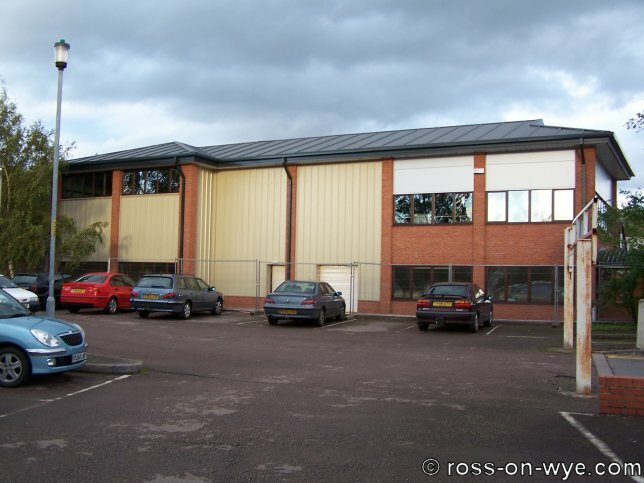 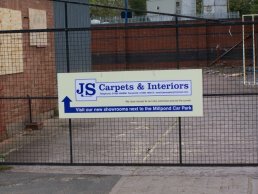 JS Carpets has recently moved into their new building. 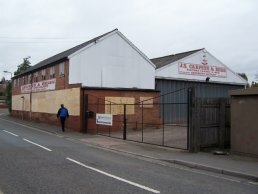 The old building has been boarded up and a sign added to the gate to indicate that they have moved. 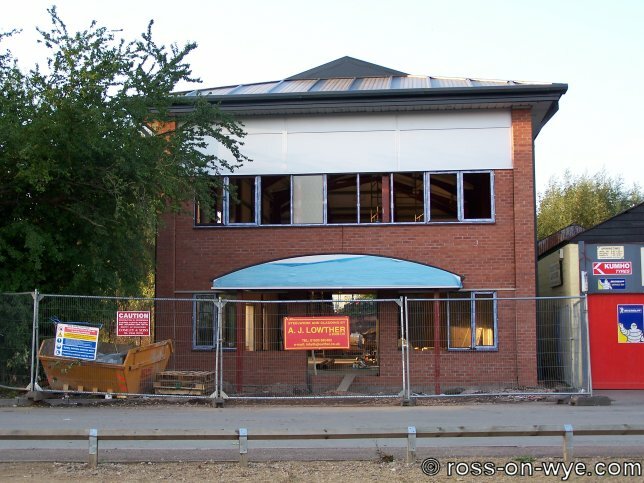 My the 25th September all the glass had been fitted to the windows and now interior working is progressing. The building is now abandoned and boarded up awaiting further development. The new building is now just about ready to have the windows installed. 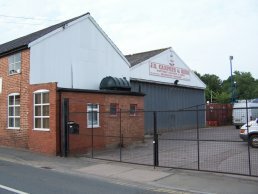 Here the carpets can be seen inside the warehouse at the rear of the site and the brick building at the front was the show room. 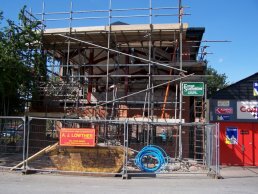 The exterior walls of the new building have been built and the roof has been added. 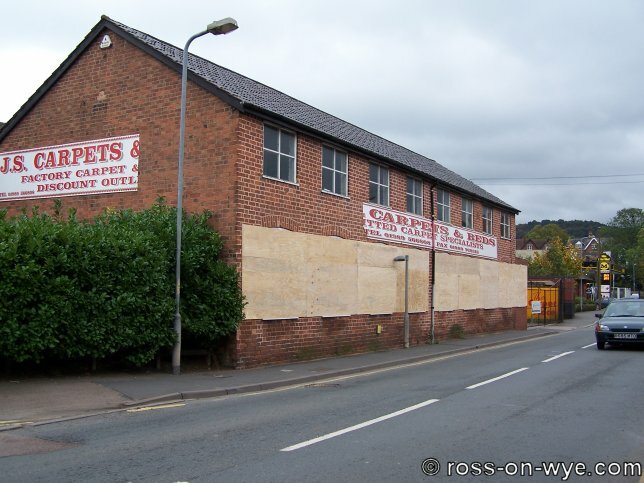 As can be seen in these shots, the building beside Millpond Street is still in use as a warehouse but neither it nor the signs on the outside are being maintained as the move to the new site is in sight and being prepared for. 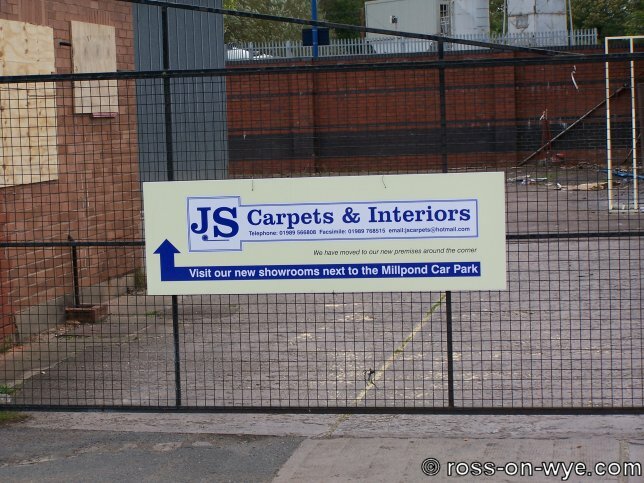 During 2006 the new JS Carpets building was under construction. 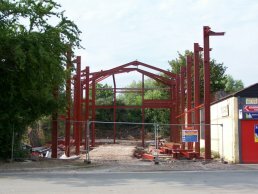 These views show the buildings partially erected internal steel structure.